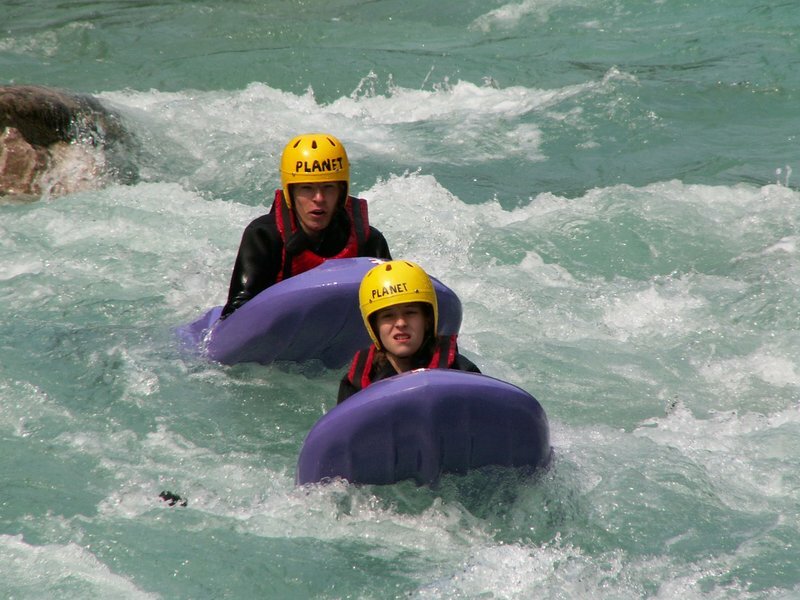 Some people find hydrospeed in Slovenia as one of the most extreme water activities carried out on the Sava Bohinjka river and the Soča river. There is only a river board between us and the river when we lie on the board and hold it with our hands. 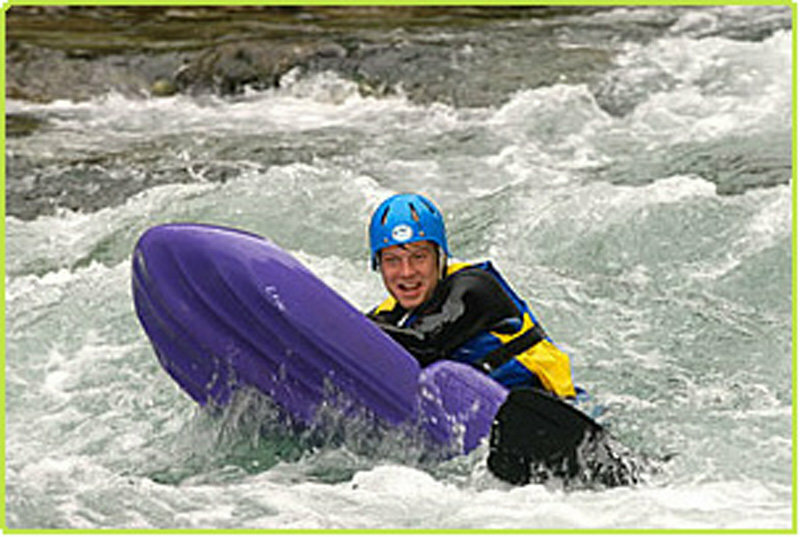 Lying on it and using fins we can navigate through the river rapids and experience the river current. You will be wearing neoprene wetsuit that will keep you warm and protect you from hitting the rocks. An experience guide will give you instructions about the technique and safety that you will need for hydrospeed. For this adventure you need a swimsuit a towel and a shirt. On your request we can organize additional transfers on the locations, guided sightseeing, lunch or dinner. At the end of your adventure we can arrange for you a nice picnic. If you are planning to stay with us several days, we will be more than happy to help you with hotel/hostel reservations. The starting point of riverboarding on Sava Bohinjka river in Slovenia is in the canyon that is on the half way between Bohinj and Bled. We will be navigating through the river rapids around an hour and a half. The whole trip will take us around 4 to 5 hours. Starting point of hydrospeed Bovec on Soča river in Slovenia is in a place called Otona. The lenght of this part of the river is 8 km. We consider this descent as a difficult one. The whole trip will take us around 3 to 4 hours. Starting point of hydrospeed on Soča river in Slovenia is in the village of Srpenica. We will end our adventure in the village called Trnovo ob Soči. The lenght of this part of the river is 8 km. We consider this descent as a medium difficult. The whole trip will take us around 4 to 5 hours.